Who is a Witch is beautifully written by Rowan Moss. The illustrations are also beautifully done by T.S. Lamb. This is the first book in the Pagan Children Learning Series. This book covers the topic of who is a witch and what witches do. The book explains everything in easy to understand language. For words that may be harder to understand, the writer included a glossary at the back of the book. Who is a witch explains that almost anyone can be a witch, and that you cannot tell just from looking at someone. It shows that witches come in all shapes, forms, colors, and backgrounds. It shows that witches are not someone to fear because they do the same kind of stuff that the readers do! It goes on to explain that witches practice magic and what magic consists of. The book does a great job of explaining the types of things witches do like keeping a garden, being in nature, and practicing magic with a coven. One of my favorite parts of this book series is the activity in the back of each book. The activity this time consisted of making a bird feeder. This was one of my favorite things to do as a kid and I was excited to see it included. I feel that this activity is perfect for teaching children about witches because the book is showing children that witches are helpful to nature and care about the environment. I shared this book with my son and he gave it a big thumbs up. We spent one afternoon discussing who in our community may be a witch and what they did in their free time. That evening we sat out and watched the sun set and the moon rise. We talked about the book and what witches might be doing at that time of the day. The next day we completed the activity in the back of the book. We discussed how witches take care of the Earth and what else we could do to support witches and nature. This book comes highly recommended from me. If you have small children and are struggling with how to explain who witches are, use this book! It not only explains everything in an easy to understand way but the activity is a lot of fun also! You can read Deanna’s Review on What is an Altar HERE. I wanted to share a celebration that I think is steeped in ancient sentiment that has been sorely missing in our culture for many years now. It centers on Woman’s Mysteries and empowers a milestone that can sometimes be glossed over or denigrated in our busy culture today. Blessingways have caught on in North America recently as an alternative to the “traditional” baby shower. Becoming a mother is a deeply spiritual step for a woman. The transition from maiden to mother (when it is literal) is often made more about the baby than about the mother to be. You open gifts for your future or newly arrived little one and others ohhh and awww….you eat, you play silly games and you go home with a ton of stuff. Granted the stuff is needed and helpful but what does your soul and spirit get from this celebration? There is little time to process fears, cherish the changes to come, honour the miraculous and primal experience that is pregnancy and childbirth, and to just focus on the mama to be. Research is of course key in making the event unique and special to the new mom. Choosing an appropriate Goddess to invoke or planning the timing for the event with the corresponding moon phase takes the focus off consumerism and puts the focus on the immanent transformation from maiden to mother. Here are some resources to help your planning. The original meaning of the term: Blessingway. Mother-Rising is a great book that I used to plan my best friend’s celebration. Blessingway: A Guide to Mother-Centered Baby Showers is another option. And any thorough Pagan 101 should list Goddesses associated with motherhood. Choosing a theme is also fun. For my friend we chose birds. Mama birds with babies, nests and feather crowns were what we used to make her feel special and connected. Keeping things fluid is also a consideration for events like this one. Pregnancy is intense and sometimes a heavy ritual may not work when an expectant mom is out of sorts or tired. So have a plan B. If she does not seem up for being adorned with a flowing robe or being fawned over you can watch a fun movie and have some cool drinks for her to enjoy with her best buddies. Because most of all the transformation is her experience and what you are doing is setting up a space for that to happen in whatever way it needs to in that moment. Also do not hesitate to celebrate each new addition to a mama’s family. Though she may already be a mother of three, number four is still unique and her mamahood is being reborn again. Each time a woman takes this journey she comes back altered and that deep place that each of us go to when we birth should be celebrated and venerated in our culture. I am pleased to be a new member of the PaganPages family. 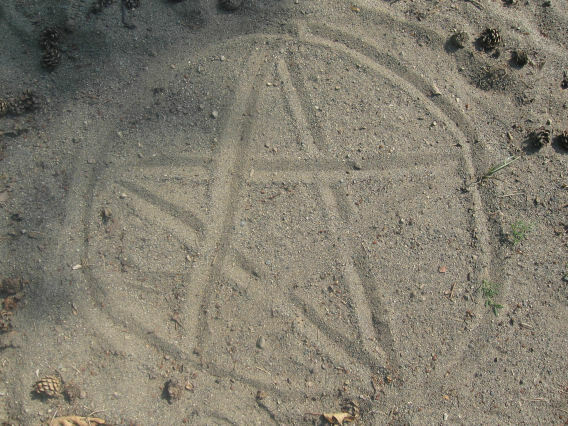 Welcome to Pagan Parenting Every Day. Each month we will be exploring topics that relate to every day parenting with a pagan spin. As a new parent looking for articles that relay parenting topics through a pagan perspective I find a lack. I hope to address this gap and bring ideas to the table for discussion, learning and pondering. Before we get to this month’s topic I’d like to say that the views presented here are based on one pagan parent’s perspective. I am not trying to advocate a “pagan way” to parent, as I believe that as each child is different, so is each parent and each pagan in tern. Rather, I am hoping to create a dialogue for parents and offer up some parenting styles, tips, methods, activities and issues. The wide world of parenting is often daunting and a sense of support in our community can be a blessing to us all. I also welcome questions, comments and suggestions for future topics. You can contact me at stonegirl1177 AT yahoo DOT ca. And now onto our topic for this month: Experiencing the Elements at the Playground. As North American society has moved away from predominately dwelling on farmsteads and into urban lifestyles city parks have become a nature refuge. As pagans many of us think that getting into nature, meaning out of the city and into a National park, camping, etc. is the only way to experience the elements. But other than our 2 or 3 weeks a year of vacations, or our weekend day trips how can we bring the lessons and just plain fun of the elements into our children’s lives? Some urban dwellers have backyards where they can explore the elements with their kids but if you don’t, or even if you do and you are looking for a change try taking a walk to your local playground. The power and wonder of the elements are right there waiting for you and your family to appreciate them. Swings and slides are perfect tools for really experiencing air. Pumping your legs, you move faster and faster. The air is all around you, blowing your hair and for kids who have a hard time understanding what they can’t see or feel in the moment this movement helps air, the invisible element become tangible. Not to mention swinging is fun. For toddlers and babies this aspect of motion is as far as you’ll need to take the activity. Although you can repeat “Wind!” with glee in your voice to let them associate the sensations they are having with air. For older children you can talk about the sensations they feel and mention some air correspondences like communication and the intellect. Fire is not an element you openly see at parks. It is not something you really want to encourage either. But the big ball of fire in the sky can be your children’s plaything in its own way. Shadow play is very entertaining. 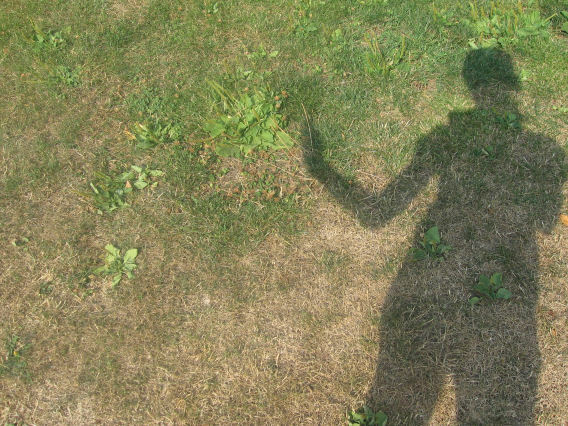 Running and playing shadow tag, seeing the interesting shapes that you can make and for older kids you can talk about the length of your shadow and how that corresponds to the different time of day as the sun moves from east to west. If it is a particularly warm day you can also teach even toddlers about the wonder of shade cast by trees or a nearby building. You can move from the sun to the shade and experience the sensations of fire through the intense heat of the sun. Water parks with their spraying are of course great to experience on hot summer days and a very fun way to play with water. If you are out after a rain puddles can hold a wonderland of enjoyment for kids of all ages. 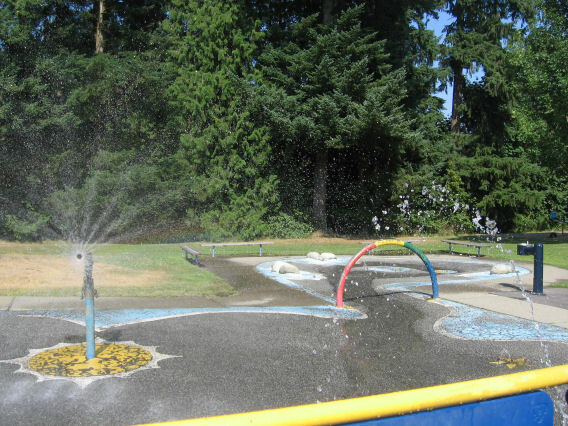 If your playground has a drinking fountain that is a great way to start a dialogue about the precious nature of water. Even if your local playground has no water available for play or drinking you can bring some in a thermos or water bottle. As children play they inevitably get thirsty, as they break for a drink they can think about how the body is mostly water and why they need to replenish their supply after they exert themselves. Perhaps they can carry their own water bottle and this can be a great lesson in understanding the precious nature of water as a resource. Sand boxes, pebbles, grass, wood chips, there can be many surfaces at the playground that are earthy. Sand boxes are endless in possibilities for play: mud pies, drawing in the sand with sticks, shoveling, sand castles, and just getting dirty are all great ways to interact with mother earth. 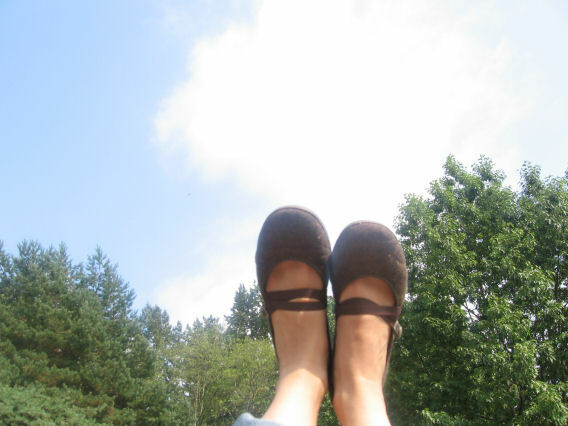 Rolling down grassy hillsides, climbing trees, the reassuring thud of the earth beneath on a see-saw, share earth’s rhythms with your child and you can also chant if the mood strikes. If your neighborhood playground is on concrete there is usually some crack somewhere with plants pushing up through it. What a powerful lesson to learn about, how even a substance as strong as concrete can be severed by the earth and strong plants will reclaim the space if left to their own devices. Regardless of time constraints and nature access you can have family adventures with the elements in urban settings. All it takes is some imagination and a desire to be in the moment. A healthy dose of spirit can make our neighborhood sacred regardless of how much vegetation is around us. We are nature; nature is with us in each moment, just waiting for us to notice.